A new, smaller edition of Top Gear: Where's Stig-perfectly sized for the glove compartment Some say that the voice of Top Gear's iconic figure can only be heard by cats, and that he is one of the world's leading authorities on steam irons. All we know is that he's called The Stig. But where is he? Fans will have to work hard to find him, as he's been cleverly concealed in a series of brilliantly drawn scenes. He might be spotted getting down with the kids at a rock festival; or overseeing his workforce in his secret underground lair. He could be one of the spectators lining the route of Bonneville Salt Flats Speed Week; or soaking up the sun on the Costa del Stig. Filled with visual jokes and references to the TV series, and with extra credits for spotting his colleagues at Top Gear and a few other hidden gems, this book will give Top Gear fans hours of fun. About Matt Master (Author) : Matt Master is a published author. 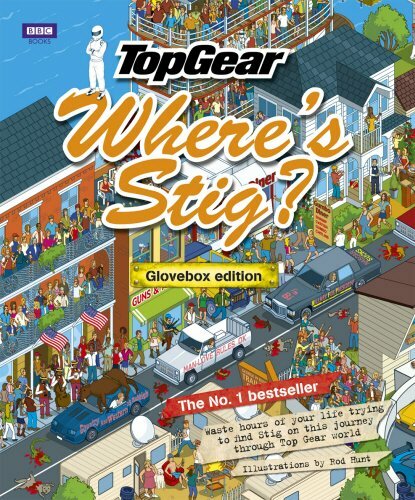 A published credit of Matt Master is Top Gear: Where's Stig?.